Since the announcement of Windows Autopilot there has been a lot of interest and questions about how it actually works, will it blend easily in our environment, etc. While at the beginning there was some major drawback compared to what a Task sequence’s configured computer can deliver, with the latest updates to the service, it is now a good time to start your journey with it. 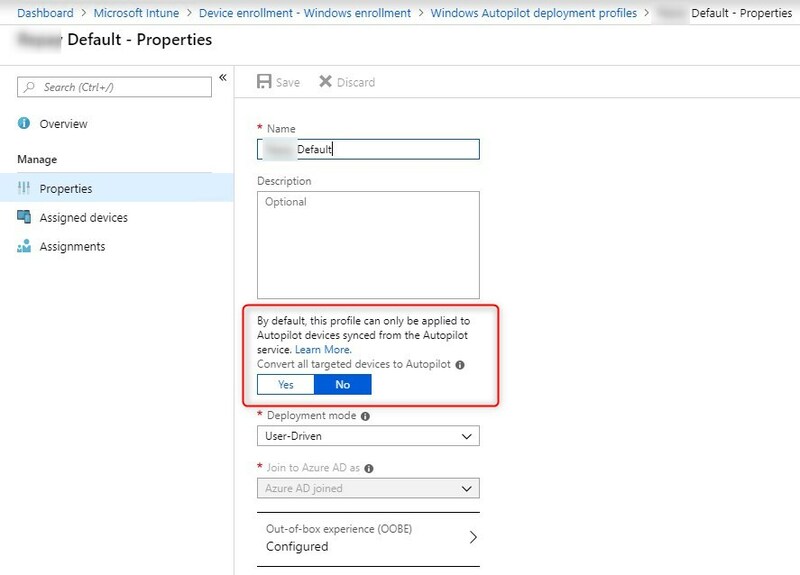 In this post, we will detail all the requirements and how to set up an environment for Windows Autopilot. There are multiples options for licensing to be used with Autopilot. 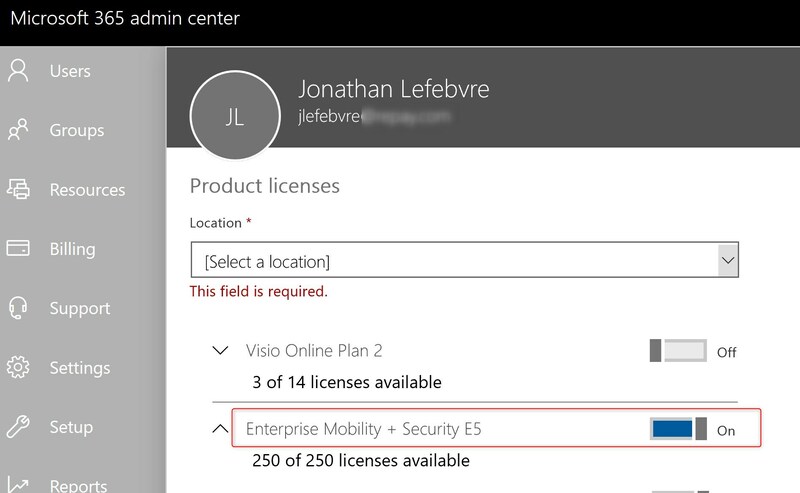 You can also begin with trial licenses for Enterprise Mobility and Security (EMS). This would cover everything we need for Autopilot. To begin your testing, assign one of those license to a test account. 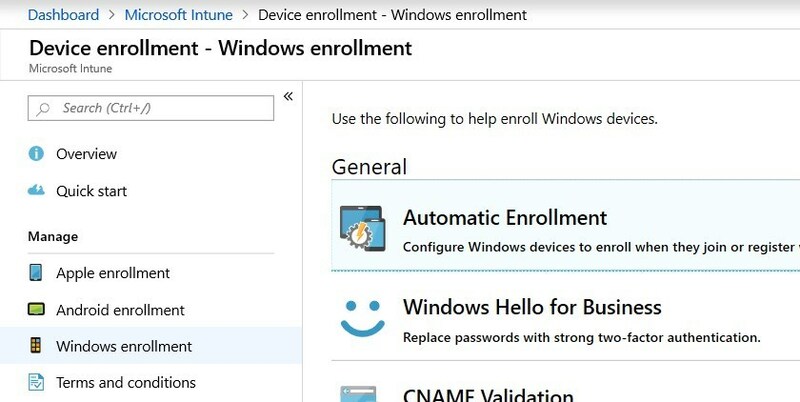 Eventually, this will be required on all users you wish they can use Windows Autopilot to provision a computer. 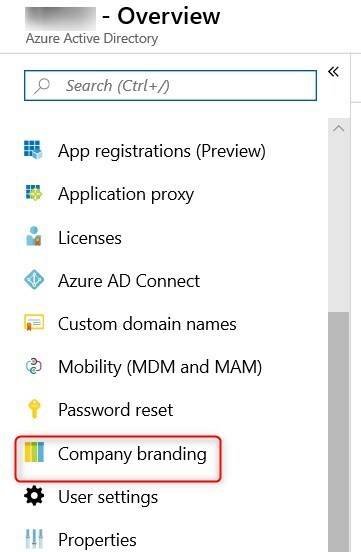 If your enterprise is new to anything related to Azure and Intune, it is easier to begin with Global administrators rights in Azure. 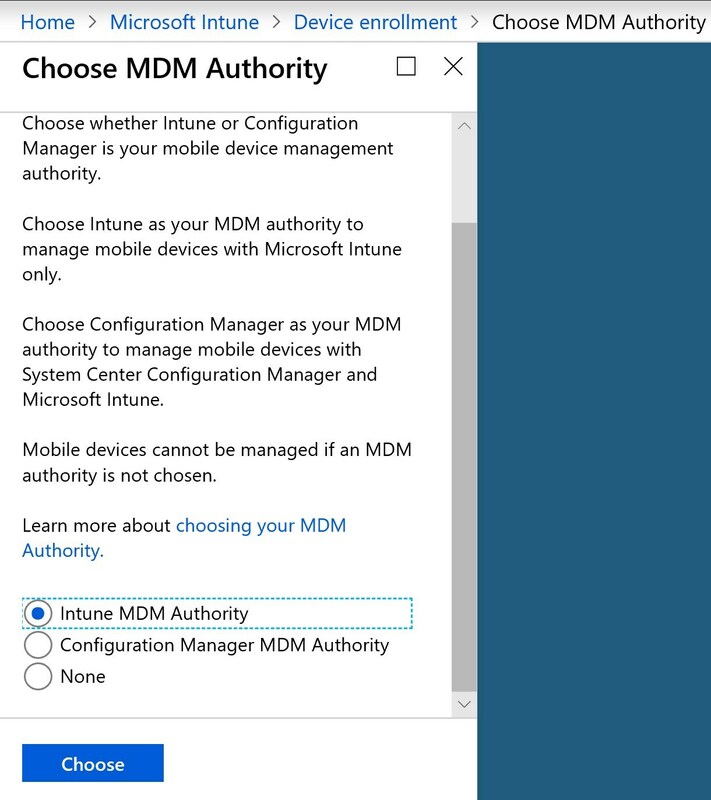 Once the various requirements will be done, Intune Administrators along with rights for the Windows Store for business will be enough. No matter what kind of network configuration you have, it’s a good idea to review the list of requirements on the network side. 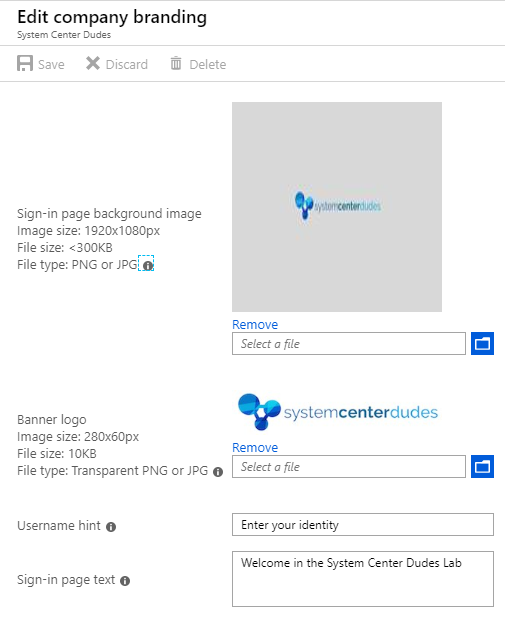 Review the list of recommendation on Microsoft docs. 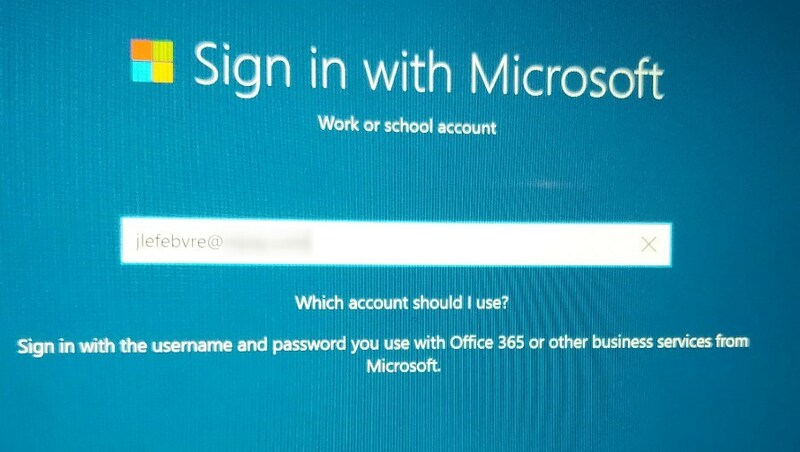 While this step isn’t mandatory, it helps the look and feel when authenticating against the Azure AD/Office 365. Provide the various images required with the format. 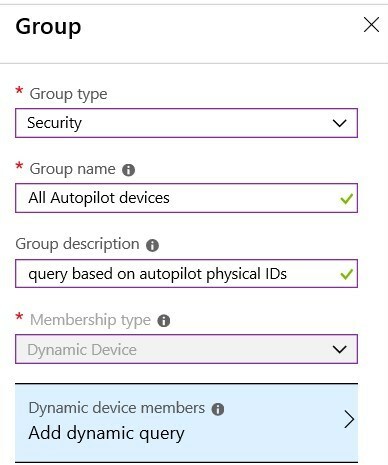 Specify a group or if All MDM user can enroll devices. Now that requirements have been covered, it’s time to dive into Autopilot itself. 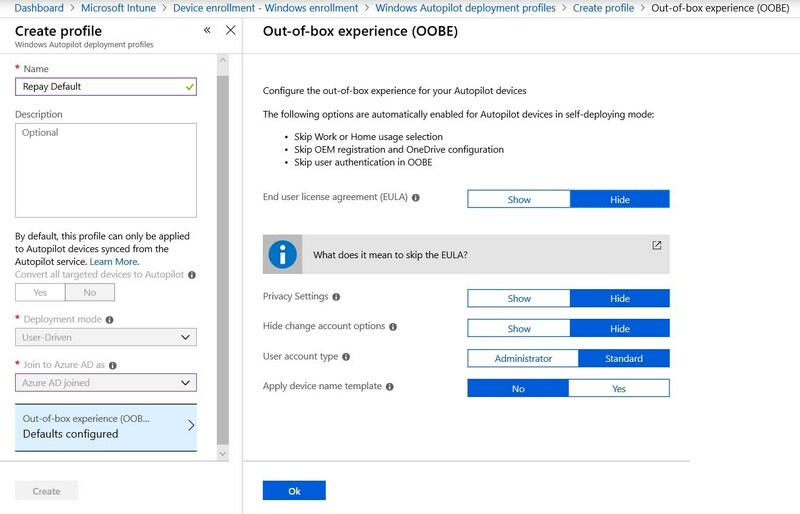 The autopilot deployment profile is the configuration of the out-of-the-box experience(OOBE) to set up a Windows 10 device. 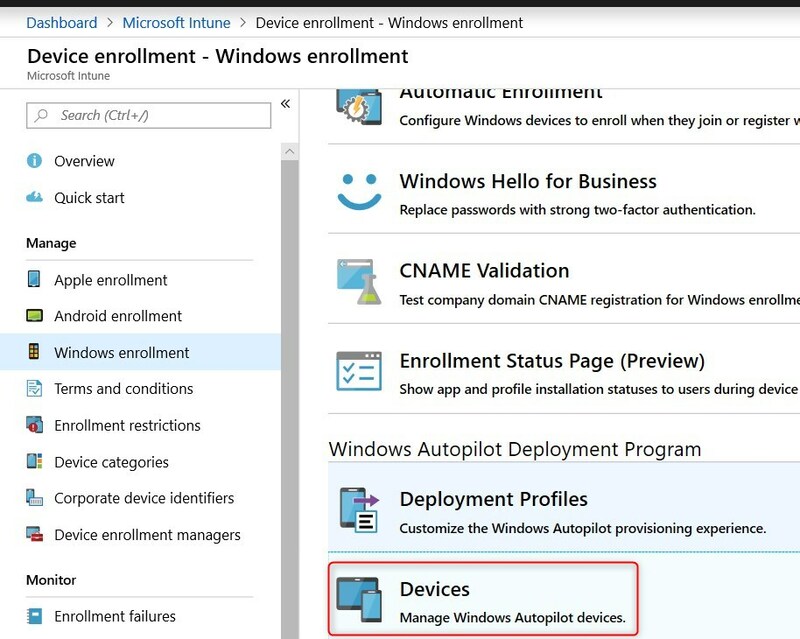 The option to Convert all targeted devices to Autopilot will be for later on when testing have been conducted. Unbox the device, plug it in and turn it on. Choose a language, locale, and keyboard. Connect it to a wireless or wired network with internet access. Specify your e-mail address and password for your organization account. 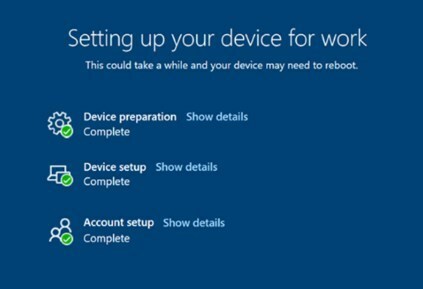 Microsoft recently released the Self-deploying mode in a preview. This mode is mainly for Kiosk computers, digital signage device or shared devices. 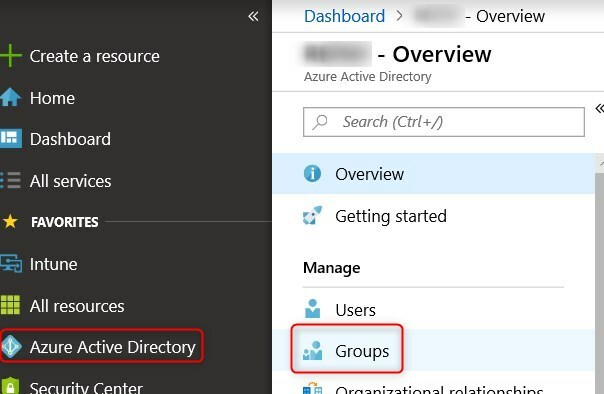 The idea is to remove most, if not all, user interaction to provision a computer with Autopilot, therefore Azure AD join, required applications and configurations. 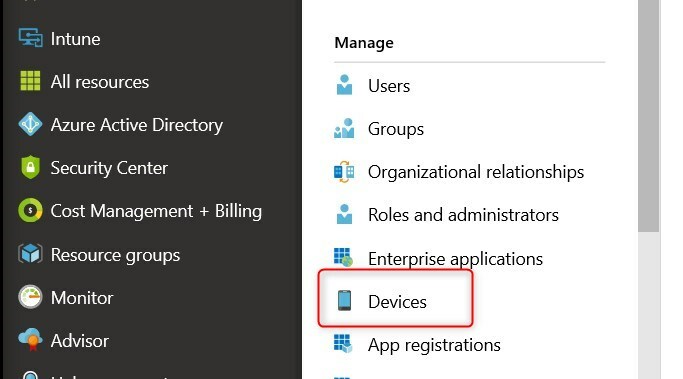 The option to Apply device name template gives the opportunity to set up a standard naming convention. Using custom ID may not be possible depending on the requirement. In that case, a computer can be renamed straight from Intune. 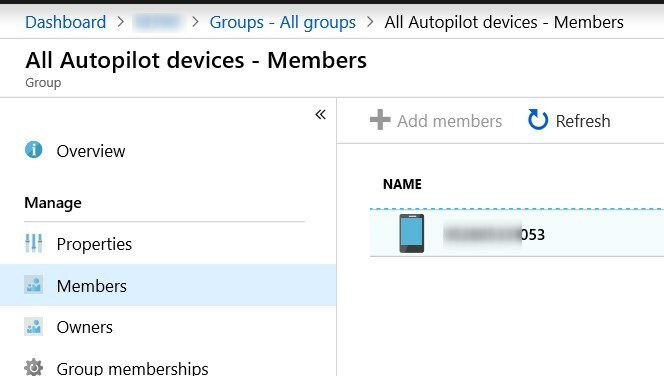 Once created, make sure to create the Assignment to target the All Autopilot devices group. The enrollment status page allows us to bring autopilot configuration closer than what a task sequence looks like. It will prevent the user from login while many key configurations happen automatically. Note that this feature is in preview, but we had great success so far with it. A default profile already exist and assigned, but nothing is actually enabled. Click on it to edit. 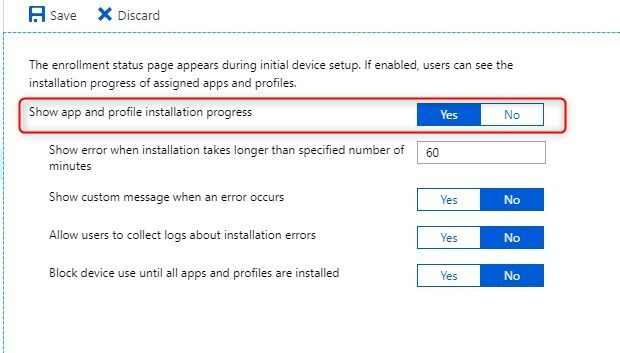 The Block device use until these required apps option allows us to prevent using the computer until applications are downloaded and installed. 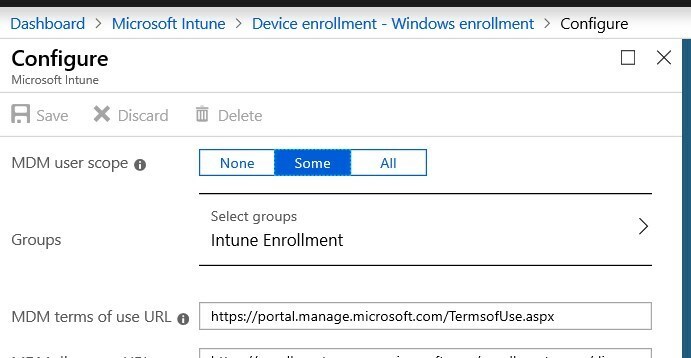 This feature is for now limited to policies, Office 365 desktop apps, Appx/MSIX and standalone MSI installed by the Enterprise desktop app Management CSP. This leaves the Win32 applications out of this option for now. In clear words, this means that any Win32 applications installation, will occurs after the users log in the first time. Fortunately enough, this happen really fast after the initial setup, so it’s not really an issue. 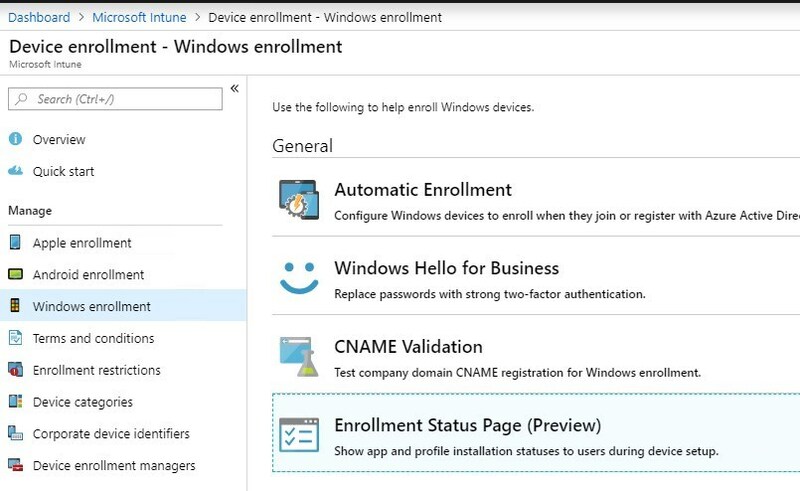 Also note that Win32 applications dependencies is coming soon to Microsoft Intune. This group will be targeted by the Autopilot profile. 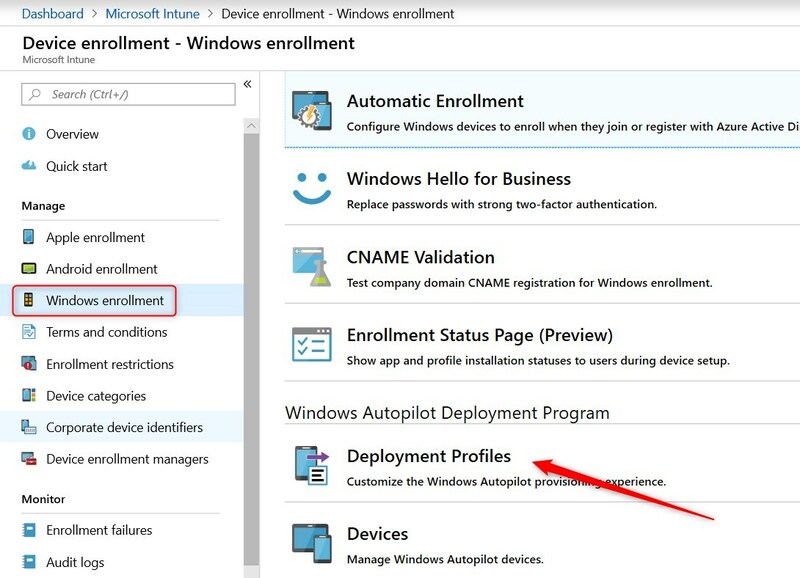 The easiest way to add a test device is to manually register it with the Get-WindowsAutoPilotInfo script. This will generate a unique device ID that we’ll be able to import in Autopilot. Click Import and select the .CSV file generated earlier. Once sync is completed, the device will show up. Hitting refresh may be required to see it. 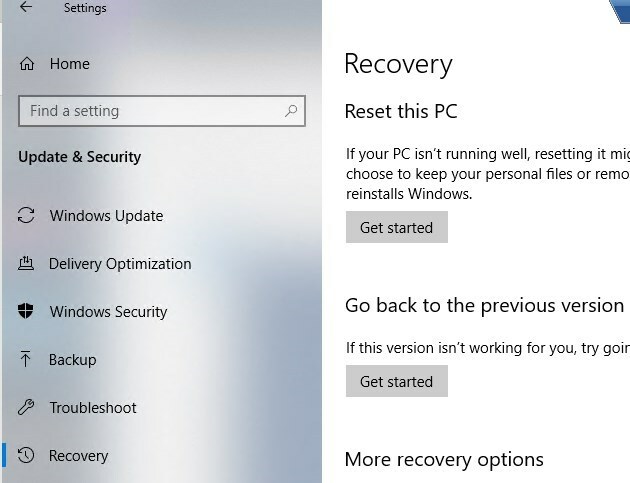 Many options exist in order to support currently used computers in the company to be able to be refreshed using Windows Autopilot. 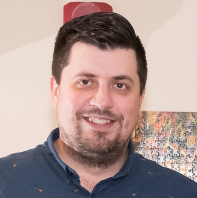 Since SCCM 1802, a new report is available under Hardware – General. This reports give all the required information for Autopilot. This can be later used to import those computer using the same method as the test computer. 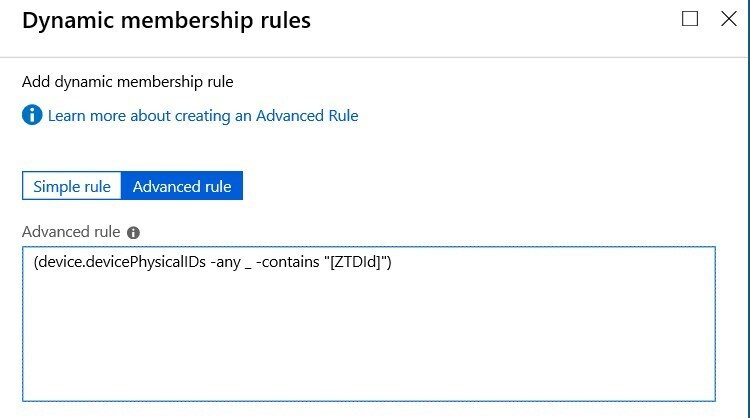 This requires to have computer managed by Intune or Co-Managed with SCCM. 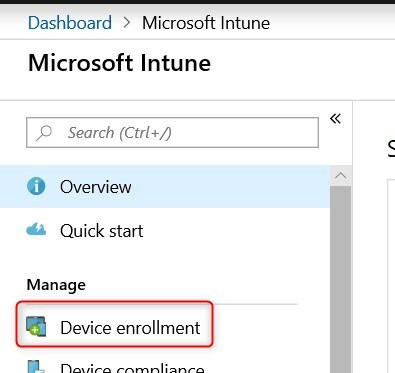 The option to convert all targeted devices to Autopilot can automatically convert managed devices by Intune or Co-Managed with SCCM to Autopilot ready devices. 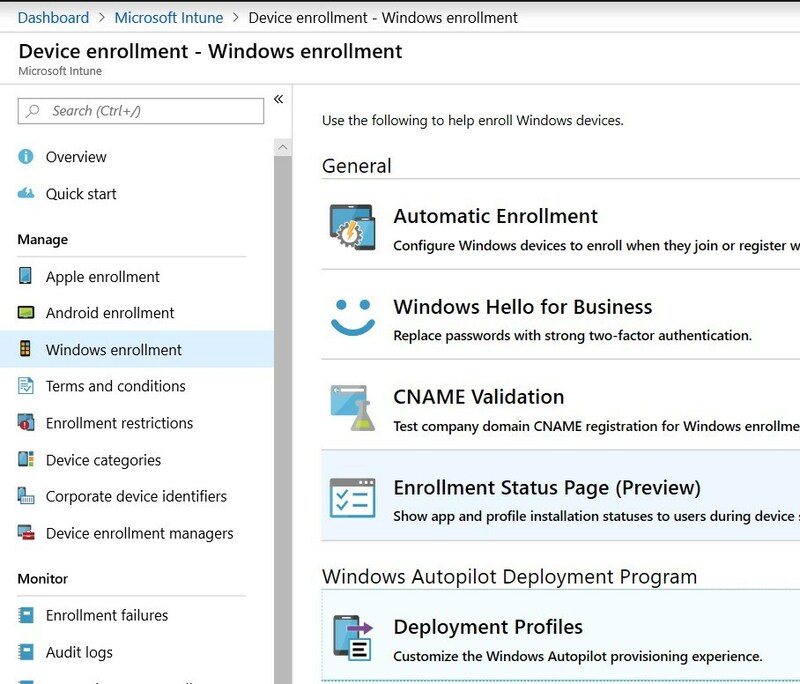 New devices can be automatically added to your Autopilot by your device vendor. as of now, Dell, HP, Lenovo and Toshiba. We’ve heard of possible small fee per computer. So don’t be supprised if it happen. For specific steps to be taken, contacting your vendor is the best option you have. From past experience, at was mostly paper work and providing the Tenant ID so the provider know where to add newly bought devices. Provide necessary user customization like Country, language, and keyboard. Then the user’s email and password will be asked. When the Out-of-the-box experience is completed, the user will be logged on. Remaining applications, like Win32 Apps will begin to install right away. Hope this as help you begin your journey with Windows Autopilot.